Orange is readying a new Android device under its own branding, according to information sent to TechRadar. 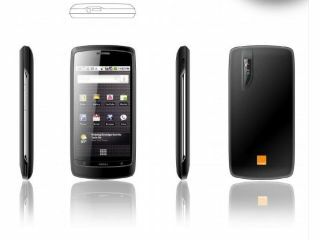 The new Orange phone will be a slim tablet-style device with no keyboard, with a 3MP camera and running Android 2.1. It also looks like the Orange Project JAL phone will come with a 3.5-inch WVGA capacitive OLED screen and will be based on the ZTE Blade, according to eagle-eyed readers over on EuroDroid (image from Mobile Review). Orange will obviously be packing the device with its own services, including Maps, Messenger and its App Store, as well as full connectivity from Wi-Fi, Bluetooth and GPS. We've not got word on a Project JAL handset UK release date, but it seems the new Android phone will be landing on pay as you go and contract deals, so an affordable UK price of between £100-£150 seems highly plausible. We've contacted Orange for more information on this new phone, so when we get confirmation of its existence we'll let you know. "We can confirm we will be unveiling Android models in our own device range in the coming months, and will announce further details nearer the time."